If you are an Arts Co-ordinater in school, but have no contact with outside artists or inspiration for lessons - Please get in touch, we can help you. If you are a teacher who loves art and wants to extend your children's art experience consider organising an arts week through us. We have experienced: Printmakers, Art historians, Textile designers, Weavers, Sculptors, Puppet/theater and stage designers, Potters, Curators and many others. Two sessions: 10.30am-12.00pm. Aged 6 and under & 1.00 – 3.00pm. Aged 7 and above. Under 8’s must be accompanied by an adult. Design and create your very own pieces of jewellery during this fantastic workshop with artist Kate Whyley. 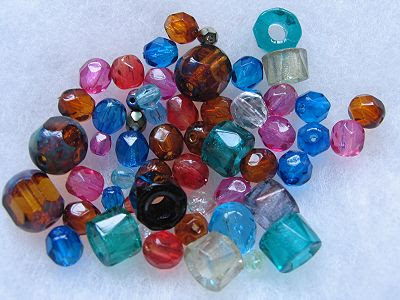 Use all kinds of beads, gems, stones and real jewellery findings to create beautiful necklaces, earrings and bangles to suit your personality this summer. Find an artist working within schools, be inspired for an art lesson, or just read and enjoy... the life of an artist! ....Loveart, the title speaks for itself. Creativity is evident in every aspect of life, so to be able to appreciate art is a wonderful thing. We aim to encourage creative engagement with all things artistic! Art titles have at least 15% off RRP. Materials for schools can be advised on.